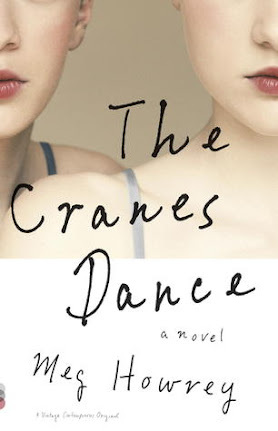 The Cranes Dance [Book Review] – my books. my life. Kate Crane is a Soloist with a premiere New York City ballet company. Her sister, Gwen, was a Principal with the same company until she had a mental breakdown and was taken home for the time being. Now Kate is on her own for the first time, left to deal with her sister’s condition, her recent breakup, and an injured neck. Throughout, Kate must keep up with the demands of her career. This book opens with a snarky description of Swan Lake. From that moment, I knew I was in for a treat. And the rest of the book did not disappoint. I was very invested in Kate’s life – was she going to be okay? was Gwen? just where was this story going? And while Kate is dealing with the fallout of her sister’s mental collapse, we also get this insider’s look at ballet from an author who knows her stuff. As Kate goes about her day, we see what the life of a professional dancer is like. Of course, as a dancer myself, this was part of the appeal for me, but I think even a lay person would find it to be an interesting glimpse into the world of dance. There’s a story going on, and Kate continues to live her life, but the book is very internal. It’s mostly about how Kate reacts to the situations around her and how she chooses to deal with the complications thrown her way. The reader really gets to know Kate. And as the book goes on, we see that Kate may not be the rock people think she is compared to Gwen. The present day story is told in a linear fashion, but Kate jumps back in her memories so often that it feels like a nonlinear book. This keeps the book from getting stale or becoming a monotony of ballet classes and dress rehearsals and evenings spent alone in Gwen’s apartment. This adds suspense that keeps the reader interested since we don’t know quite what happened with Gwen until the very end. And by the end, I was so lost in the story that I actually felt anxious as I waited to see how it turned out. This sounds really good! It seems like I’ve seen a lot more out lately about ballet, but I haven’t actually read any so I may try this one! This sounds intense! Ever since I started watching SYTYCD several years ago, I’ve been fascinated with the world of dance. I think I’d really love this one.